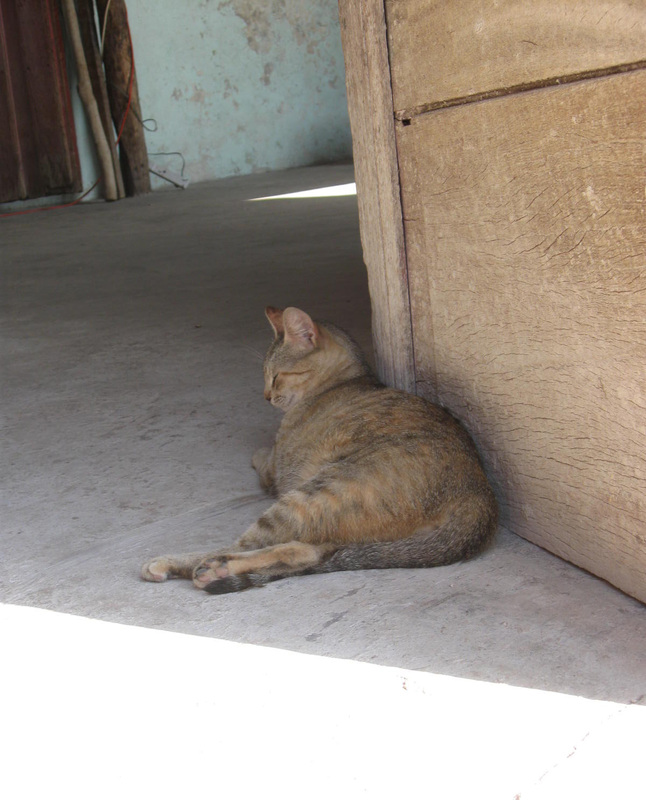 While in the Yucatán Peninsula, I stayed on a hacienda that was home to many farm cats. This cat was pregnant with kittens, most likely not her first litter. She spent her days sleeping under the meticulously woven thatched roofs of the old hacienda buildings, resting and waiting for her litter to arrive.